Learning a second language is no easy feat, but taking the time to do so not only opens up opportunities for travel and tourism but can also produce a host of positive benefits for your mental health. In fact, recent studies show that learning a second language can lead to higher mental agility as well as enhanced multitasking abilities. That said, uTalk Language Education utilizes a practical curriculum to help you overcome the language barrier, and lifetime plans are on sale starting at $19.99 in the Boing Boing Store. 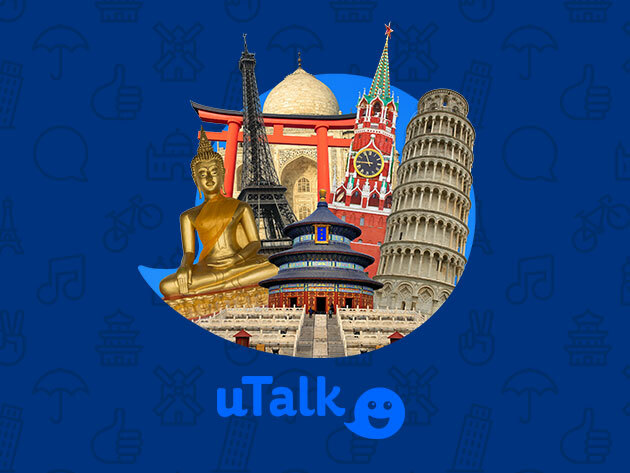 uTalk helps you learn real, practical vocabulary in a wide variety of languages from any device that you choose. Its programs let you understand how native speakers actually talk and use independently verified translations to get you conversing like a local. You can choose from one of over 130 languages and enhance your education by playing a host of language games. You can sign up for a lifetime plan with uTalk Language Education for $19.99 today.